Vanguard Cleaning of Minnesota |Dependable customized restroom cleaning. 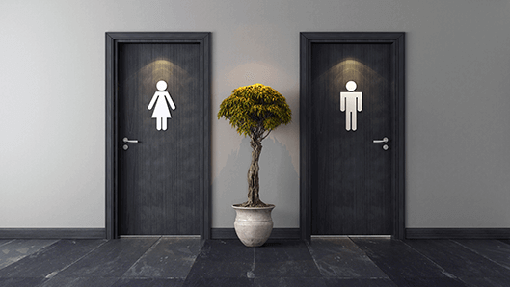 Vanguard Cleaning Systems of Minnesota offers restroom cleaning and sanitation services in addition to our regular weekly commercial cleaning and janitorial services. Our restroom deep cleaning and sanitation services keep your restrooms smelling and looking clean. But most important, we sanitize your restrooms from top to bottom. Our franchisees use a low-pressure spray to apply cleaning solution to fixtures, floors, baseboards, walls and other surfaces, flushing dirt and bacteria from places the mop can’t reach. After rinsing and drying other surfaces, the floor is vacuumed dry, completely removing dirt, moisture, and contaminants. Eliminates Odors — determining where the odor is coming from (drain, sink, urinal, light fixtures, ceiling) is key to determining what procedures are needed to eliminate the odor completely. Removes dirty grout and “five o’clock shadows” — traditional mop and bucket systems do a poor job of cleaning grout long-term. Mopping can also splash dirty water on baseboards and walls. This “five o’clock mopping shadow” smells bad and looks worse. Removes dirt and hard water deposits from sinks, fixtures, walls, partitions, counters, mirrors, dispensers and hand dryers. Restroom cleaning cost is based on the specifics of your project. Your restrooms are an immediate reflection of your business. According to the 2017 Bradley Corporation Healthy Hand Washing Survey, 92 percent of Americans see a direct relationship between the quality of a company’s products and services and the quality of its restrooms. Have you heard of the foot flush or elbow push? What about the pinky pull? The foot flush, elbow push and pinky pull are techniques people use to operate fixtures and open restroom doors with minimal contact. They use their feet to flush toilets, their elbows to flush urinals, and—if no paper towels are handy—they use their little finger to pull open doors. Half of U.S. adults believe that unclean restrooms at a company reflect how the company is run or how it treats its clients. As a result, 56 percent say that if they encounter an unclean or unpleasant restroom, they’ll think twice before returning. (Source: 2017 Bradley Corporation Healthy Hand Washing Survey). Photos and comments about restroom conditions can spread quickly, via comments and photos on social media and business review platforms damaging your reputation and bottom line. In fact, there are now mobile applications that can help people avoid dirty restrooms altogether! 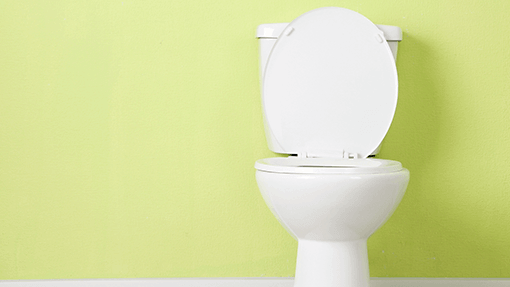 Serve your clients—and your business strategy—by keeping restrooms clean. We can help.